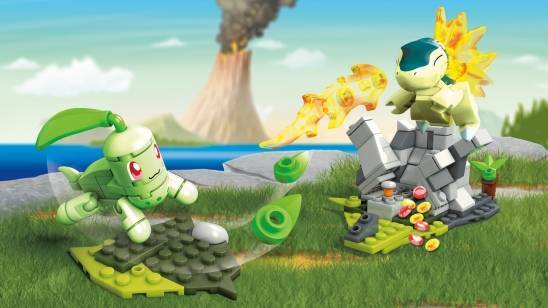 Take the battle to the final stage with two hugely iconic Pokémon! 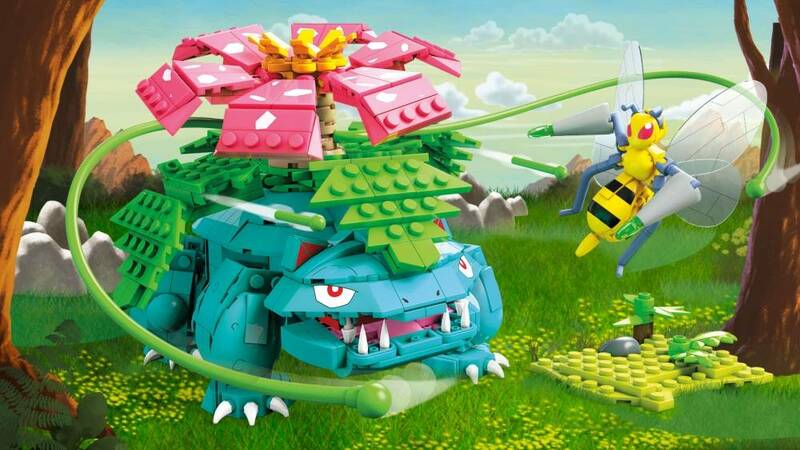 Put the petal to the metal and fly in for the sting when you build your biggest battle yet with Venusaur and Beedrill! 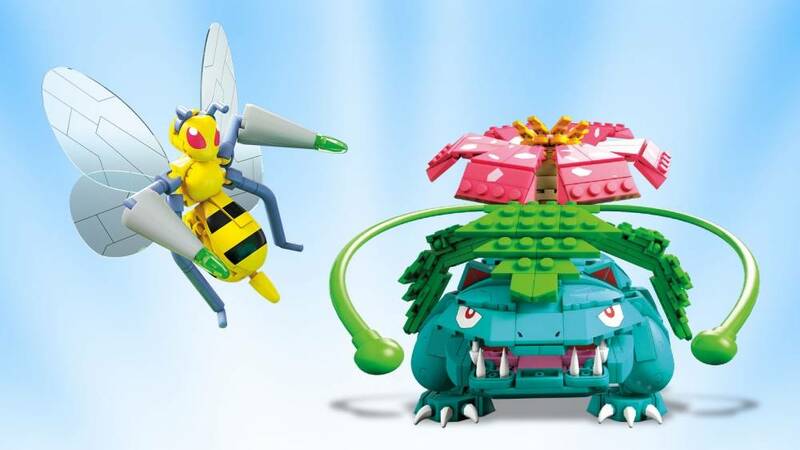 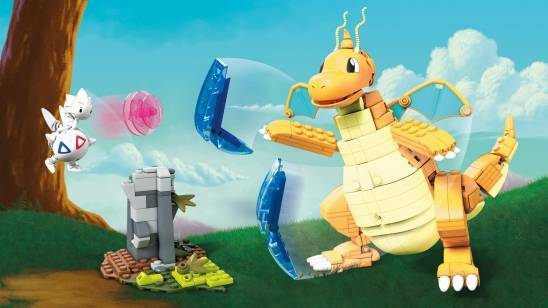 First, build your very own 4.5-inch, articulated Beedrill and unleash a Bug- or Poison-type attack, or pose it in flight on the buildable display stand. 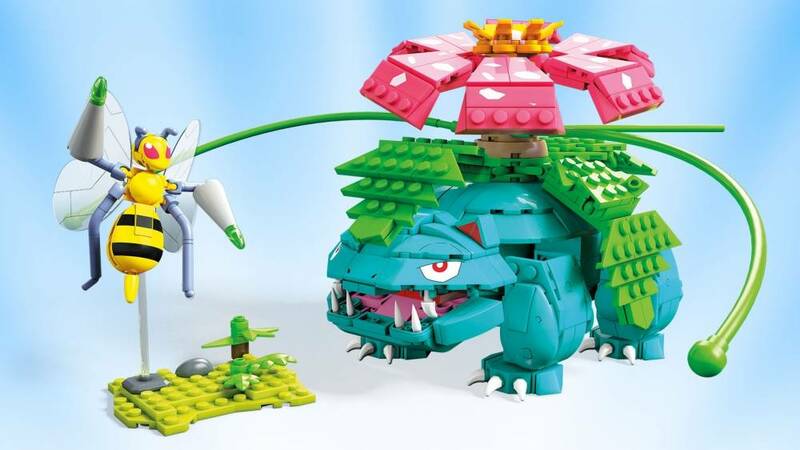 Then, unleash a Grass- or Poison-type attack when you build a 6-inch Venusaur and press to activate the action pieces for a mighty attack!